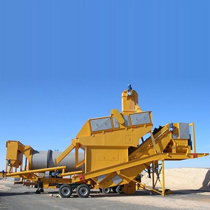 With a giant ability to manufacture a striking amount of quality asphalts within a short period of time, this kind of asphalt drum plant is widely used as an essential role in construction and maintenance work of asphalt roads. 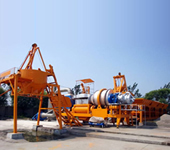 Normally Asphalt Drum Mix Plant helps in producing top quality asphalt or blacktop or asphalt concrete and other forms of bitumen layered road stones.We are betrothed in manufacturing and supplying qualitative array of Asphalt Mixing Plant ingeniously used to meet heavy duty job site applications. Our offered plant is the best option for bituminous macadam up to 150 TPH.Before transmitting this asphalt plant, it is checked on numerous parameters under the strict supervision of our well qualified quality controllers to ensure its trouble free operation and longer functional life. With the new era of improvement, our company foster to supply and export this plant in the national and international market at market leading prices. 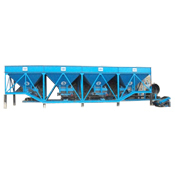 Offered Asphalt Drum Mix Plant is specially designed for road coating and other application areas such as bituminous macadam, pre-mix floor covering, solid bituminous macadam, bituminous concrete and semi solid bituminous concrete. It is mainly composed of drum dryer, coal burner, coal feeder, dust collector, hot aggregate elevator, vibrating screen, filler supply system, cold aggregate supply system, weighing and mixing system, asphalt storage, bitumen supply system. All these components have better characteristics that impact not only the overall quality of the asphalt but also the effect on the environment. Mewad Road Equipments has gained immense expertise through manufacturing, supplying all types of Road Construction Equipment like Mobile Road Cleaner, Skid Mounted Bitumen Sprayer to our respected customers at their pocket friendly prices. We also export some other Road Construction Machinery such as Hot Mix Asphalt Plant, Mobile Road Machinery, Trolley Mounted Bitumen Sprayer, Asphalt Road Equipment from Ahmedabad, Gujarat. Owned & Powered by : #1 Vinayak InfoSoft :: Disclaimer Last Updated :05-Mar-2019 [ Vin.Pnr ] All Copyrights © 2018. Mewad Equipment.